Will be getting the Target edition like always. 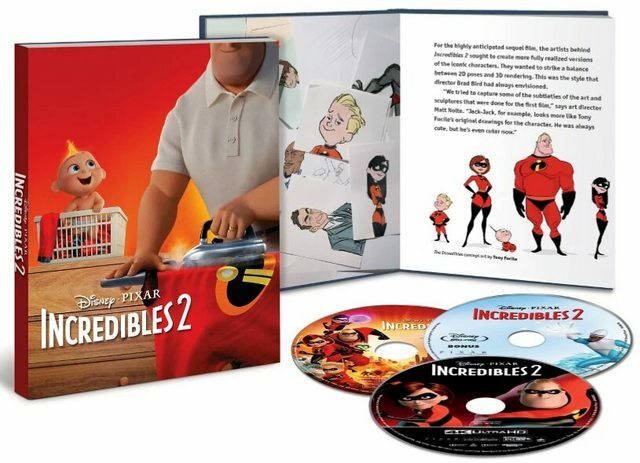 Though Brad Bird didn't want to record a commentary, at least there'll be one by the animators. And it seems we'll see Frozone's wife in one of the deleted scenes. They said she also appears in the final film as an extra, but I didn't catch her. Frozone's wife, Honey, had a character model but ultimately they decided they didn't want her to show up in the movie. So we only ever hear Honey's voice. Her character model was recycled though for a random character in the movie. Yes, I knew that, but I didn't explain myself well. That's what I meant, that I didn't catch the recycled model. Thanks anyway for the explanation. 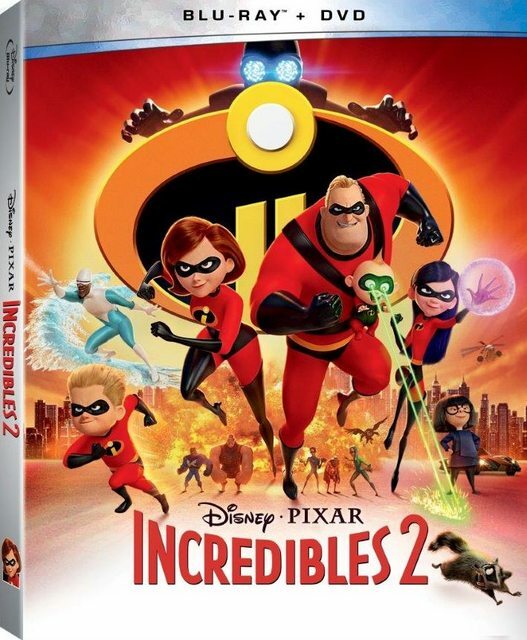 By the way, I've just noticed that the short with Edna and Jack-Jack is called a mini-movie in the press release and that's what they called the short featurettes included in The Good Dinosaur and Cars 3, so this will probably be just 1 to 3 minutes long. Ah, I see. I saw the film twice in theaters but I don't remember seeing the woman who Honey was supposed to be either. Probably she's just in the background of some shot and is not easy to spot. When the movie gets released on Blu-ray they'll probably tell where she appears in one of the extras. 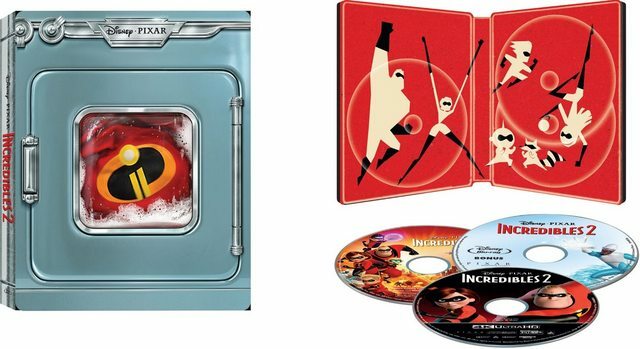 According to this Spanish website, the short with Jack Jack and Edna that comes with the Blu-ray is 5 minutes long, which is even a bit longer than Jack Jack Attack, so it's not as short as Hide and Seek or Miss Fritter's Racing Skoool as I had feared. Glad to hear that it isn't super short. I got worried there for a second. 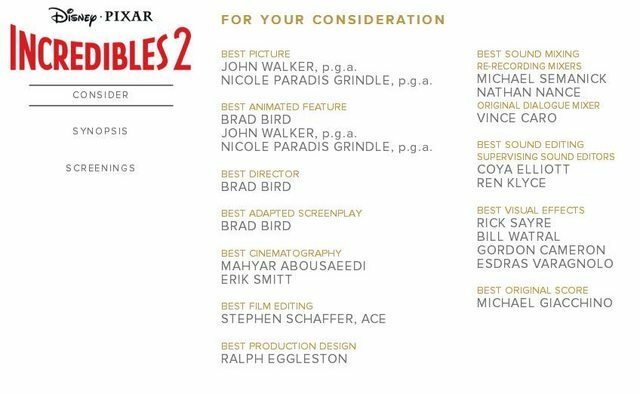 These are the categories Disney is submitting Incredibles 2 in for award consideration. Lol, this brought me to hysterics. Have they submitted anything for Ralph Breaks the Internet? I'm sure they're going to. They haven't listed all of the movies they're planning to submit yet. 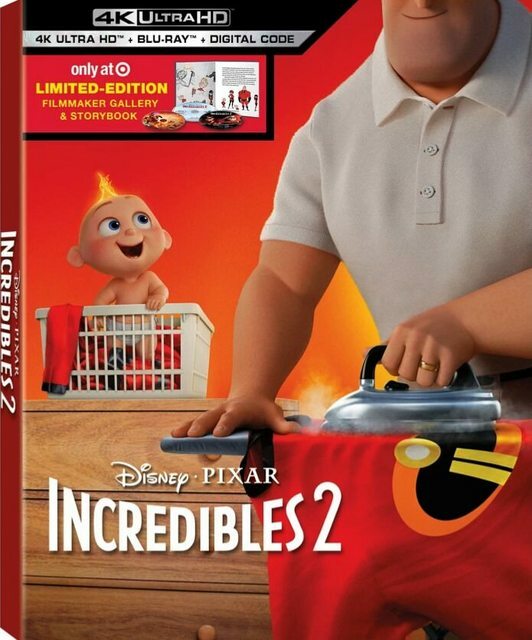 I assume Best Animated Feature like the original, but has no chance against I2. A behind-the-scenes featurette in which everybody raps. ^Yes, it was an interesting article. Thanks for sharing!